gruesome discovery of a dead body in the valley, real peril comes far too close to home. First of all, this is a book on the very edge of crime fiction, on the soft edge one might say. Certainly there is a crime, and a murder, and some violence, but essentially it is a story abut a way of life in Australia, in the Far North, and a family making its way in a world that is changing rapidly. 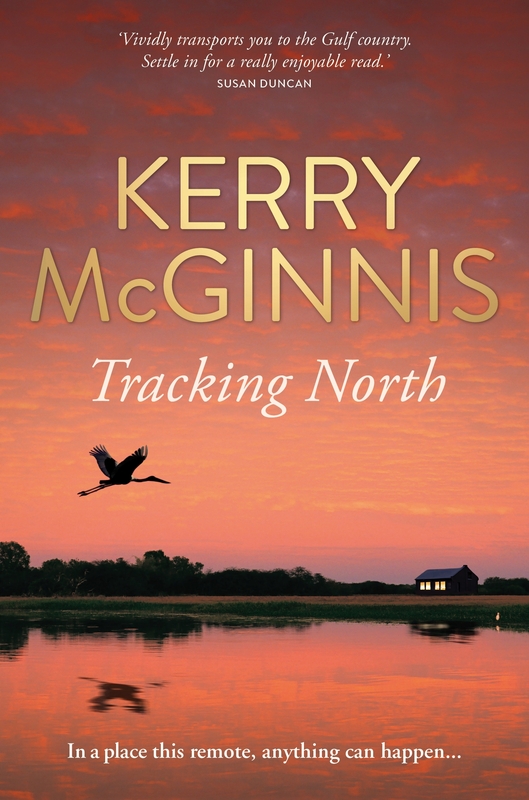 Kerry McGinnis has obviously drawn on first hand experience of living and working in remote Queensland, and I couldn’t help wondering how a non-Australian reader would see the landscape and life style that she describes. Perhaps it will be an eye opener. I did enjoy the book, inveterate crime fiction reader that I am, much more than I expected to, even the romance that won its way in the end. And, as the friend who recommended it to me said, there is mystery, there is the odd puzzle to be solved. volumes of memoir, Pieces of Blue and Heart Country, and the bestselling novels The Waddi Tree, Wildhorse Creek and Mallee Sky. Kerry now lives in Bundaberg.